Is it possible to offer high-quality eyewear at an affordable price, and still give back to charity? Up-and-coming eyewear purveyor Benji Frank thinks so. Benji Frank promises to donate one pair of glasses to a developing country for every pair sold as part of its "One Pair, One Vision" program. Their retro-inspired prescription glasses and non-prescription shades only cost $100 (frame and lenses), but still have all the traits of more expensive eyewear. Anti-reflective and scratch coatings come standard with prescription lenses, while sunglasses have polarized lenses and provide 100% UV protection. 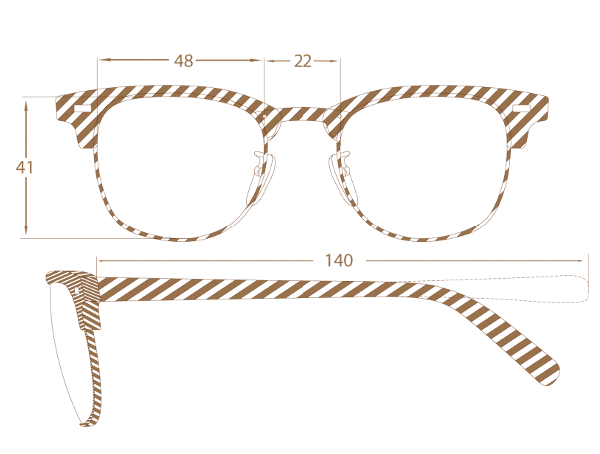 The line drawing of the 'Kennedy' shades had precise measurements. I was intrigued when Benji Frank invited me to check out their site and choose a pair to review. 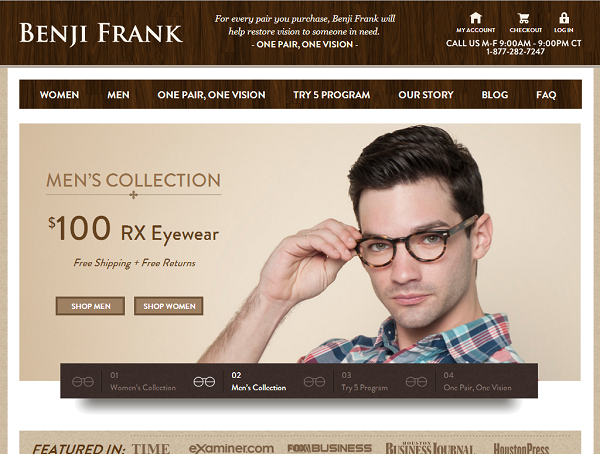 Even though buying eyewear online seemed daunting, Benji Frank made the process easy with its cheerful, user-friendly site. Frames were sorted by type (optical or sunglasses), gender, and face shape. Detailed descriptions, precise line drawings, a "virtual try on" feature (try the frames on a head-shot of yourself), and Live Chat functionality all proved helpful. After much deliberation, I finally chose the 'Kennedy' sunglasses. My new sunglasses arrived within 2 weeks and I couldn't have been happier. The frame felt sturdy and well-made. The lenses were comparable to the lenses on my Chanel or Ray-Ban shades: they blocked out the sun's rays without dimming my vision or distorting the true colour of objects. And like sunnies from luxe brands, Benji Frank's came packaged in a fancy box, along with a hard protective case and a soft optical cloth. As you can see here, here, here, and in this post, I've been wearing my new 'Kennedy' sunglasses non-stop, especially now that spring is on its way and we've been enjoying an increasing number of sunny days. If you're in the mood for new sunglasses, or if you're ready to retire your current prescription frames for a stylish new pair, I definitely recommend Benji Frank.